It is important for getting rid of acne scars when it appears on your face. 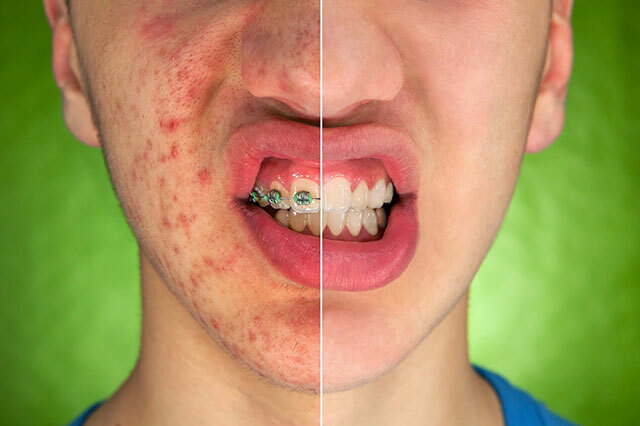 Acne scars must always look bad and decrease your confidence. That is why you should remove it well and get the clear face again. To get rid of ace scars effectively, you should always make sure that your skin is always cleaned perfectly every day. It will prevent more acne outbreaks and no more scars that worsen your skin. Some tips below are applicable for cleaning your skin well. It is important to choose a mild and non-soap cleansing product if you want to getting rid of acne scars fast. Most cleansing products contain soaps and chemical substances that will harm and worsen your acne scars. That is why you should prevent the irritation and scarring causing products for your more sensitive skin. Choose cleansing products with natural and organic ingredients, you can get them in many pharmacies. For those with sensitive skin type, don’t choose cleansers with astringent content because it may cause irritation and dryness. If you are in the time when you should clean your skin with facial wipes, choose the non-abrasive and oil-free cleansers. Otherwise, you can make your own natural toner and cleanser. Make it from one teaspoon of green tea that is infused in a cup of warm water in 3-5 minutes. Let it cool. Apply it to your affected skin with a piece of cotton, microdermabrasion cloth or facial wipe. Besides choosing the right product, you also should clean your skin in the right way to getting rid of acne scars. Some steps below may tell you the correct ways. Use clean and washed hands before cleaning your face, so no bacteria and dirt could clog the skin pores. Rinse your face with lukewarm or cold water. Apply the cleanser product and massage your skin with the cleanser in about 3-5 minutes. Rinse again with cold water and then dry it with clean and soft towel. It is recommended by dermatologists that you may not clean your face too much. Just clean in the morning, before bed time and after you are sweating too much. Skin irritation could also happen after you wear helmet or hat and get perspiration for it. Soon wash your skin when you are sweating too much for it. Besides using natural cleansing products, you also can use some natural ingredients to wash your face well. The options that can be used to clean your face are milk, orange peel, and also jojoba oil. To use milk for getting rid of acne scars naturally, you should choose the plain and full-fat milk. The lactic acid will work as natural exfoliating content that mildly removes dead skin cells and also tone your skin out as well as reducing blemishes and scars. Just use the milk to clean your face by using a cotton ball to massage your face circularly. You can mix rice or gram flour if you have oily skin and inflamed pimples to massage your skin gently. Rinse your skin with cold water and dry it. To make natural massaging scrub from dried orange peel, grind some orange peel so it becomes powder. Use ½ teaspoon of the powder to mix with one teaspoon of coconut milk, yogurt or milk. Use the mixture to rub your skin gently. Let it in about 10 minutes and then use cold water to rinse. The orange peel contains vitamin C that will help repairing your skin and increase the collagen production. It is good for oily skin because it reduces sebum effectively. Besides, the yogurt or milk will cool your skin so the inflammation will reduce. Therefore, it will be effective for getting rid of acne scars.